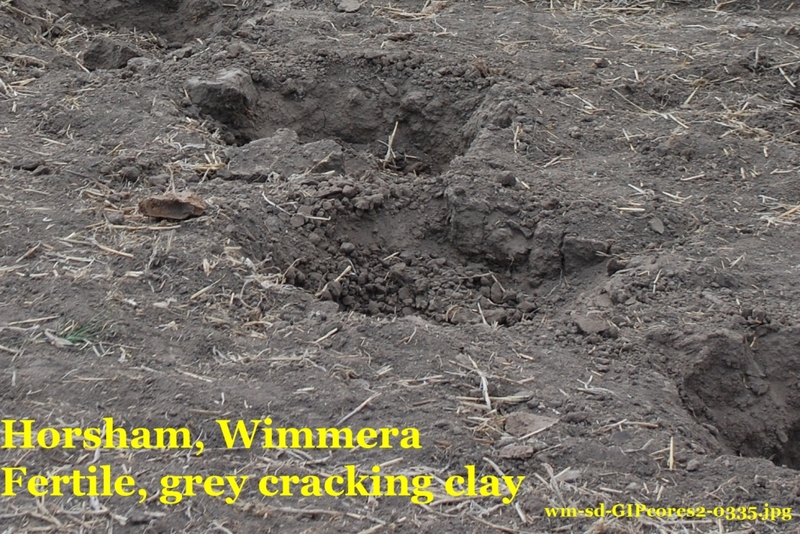 – This soil is great for broad-acre crops when it receives adequate water. – soil is on a research farm where a range of studies are carried out on soils and plants. 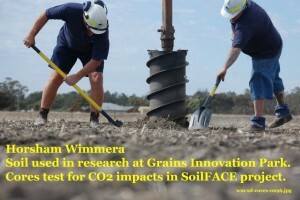 – These cores are part of the SoilFACE project which tests the impacts of elevated CO2 on soils – three different soils from three different parts of Victoria. 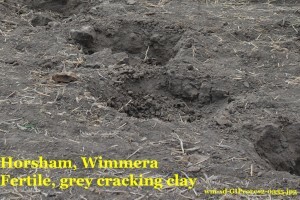 – This grey clay can be almost impossible to manage when it gets too wet – machinery bogs easily and photographers find it hard to walk across it. 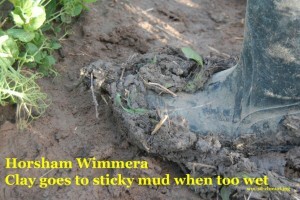 – It is very fine and when it gets too dry, becomes dusty and liable to erosion, especially by wind.